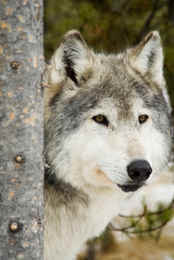 There are a number of organisations working to help with conservation and most notably wolf conservation, who are based in the UK, so you can adopt a wolf and help support the work these charities do, plus some other ideas for wolf lovers. The CalendarClub is like a treasure trove to anyone looking for a calendar on a HUGE number of topics from sport to gardens, cats and dogs, travel and transport - and wildlife! They also have different sorts of calendars, from desk to wall calendars, and those of different sizes, plus diaries too. The CalendarClub.co.uk has a number of calendars for wolf lovers, including the one pictured left - why not treat the wolf lover in your life to a Wolf Calendar and give them a beautiful photo to enjoy every month! Head to Dartmoor Zoo in Devon for a wolf encounter and howl! For £50 you can treat someone to this experience, available through Virgin Experience Days. Meet Dartmoor Zoo’s resident wolf pack and learn about some of the most famous calls in the animal kingdom with this Wolf Encounter and Howl experience. This is an amazing way to discover all about the American Timber Wolves there. Go to Virgin Experience Days for more information. There are of course lots of wolf gifts from Amazon to choose from, ranging from beautiful wolf duvet covers to wolf mugs, wolf soft toys, wolf pendants, wolf t-shirts - lots to choose from for anyone who loves wolves.